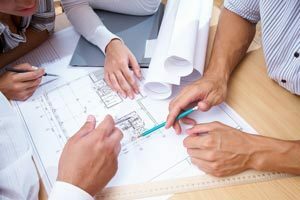 Our skilled engineers can provide guidance and design services for a broad range of electrical services from initial M&E electrical supply connections to complete designs of new build projects. Whether you are planning a new industrial estate or require the electrical installation of your new home to be designed, we can provide a service to meet your needs and budget. As a company, we work alongside leading manufacturers to provide the most suitable and cost effective solutions to your business or project needs. A large part of our consultancy involves supply upgrade and new connections to the EDF Energy Networks distribution system. Often clients can undertake this work in-house, however, using a specialist engineer ensures the right information is provided for the project first time. We undertake specialist electricity consumption surveys to establish electricity use and peak power periods. Please see the specialist surveys section of the website for more information. On countless occasions we have provided specialist advice on electrical installation safety, best practice and investigated faults which other contractors have been unable to solve. Our team of in-house and specialist consultants are able to provide a wide range of services to meet with your requirements, either as part of your team or consultants to it.